Badger Ordnance Unitized Mounts are synonymous with overbuilt single piece scope mounting solutions. Also known as Badger Unimounts, they are brought to you by Badger Ordnance, the innovator in precision mounting systems along with military grade weapon enhancements. They bring on board the greatest level of strength, precision, and accuracy to the rifle scope mounting industry. Types available include medium, extra high and ultra high ring height unimounts for various platforms. 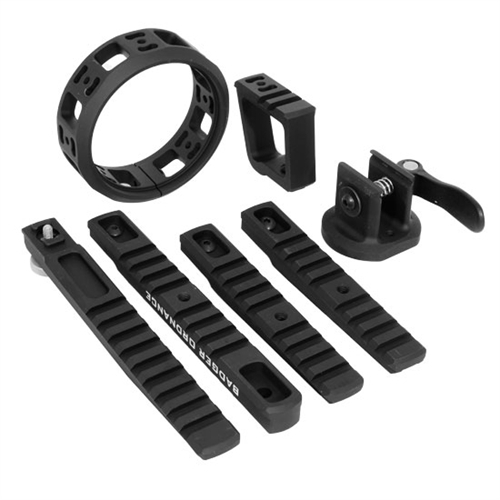 The Badger scope mounts are equipped with grade 5 clamping hardware that is coated in Mil Spec Black Oxide to cater to demanding military needs. Each Badger Ordnance Unimount/ Unitized Mount is 100% machined and assembled in America. Suitable for various missions, hunts and leisure, the mounts are used by sailors, soldiers, marines, hunters and other types of shooters.